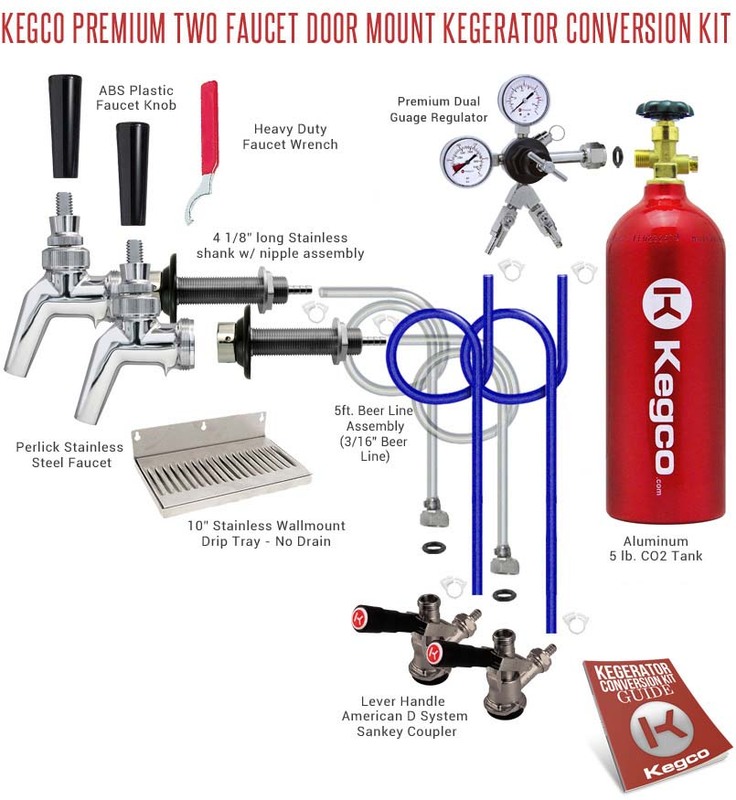 Keep your draft beer tasting brewery-fresh with Kegco's Premium Two Faucet Door Mount Conversion Kit! Filled with stainless steel component parts like a coupler probe, shanks, and faucets, it has been specially designed to ensure that your beer will only touch 100% stainless steel metal and food grade thermoplastic vinyl that does not give off any plastic taste. The faucets included are Perlick PERL faucets that feature an innovative design that will not stick, even when dispensing heaver beers. Kegco has filled this kit with even more convenient features for a premium beer dispensing experience, like a lightweight 5 lb. CO2 tank made of high strength aluminum alloy, a two product double gauge regulator for dispensing two beers at the same pressure, and a wall mount stainless steel drip tray that makes clean-up a breeze.